Franklin, North Carolina is known for the wide array of precious gems that are mined in the area. I found another kind of gem in Franklin on a recent visit. 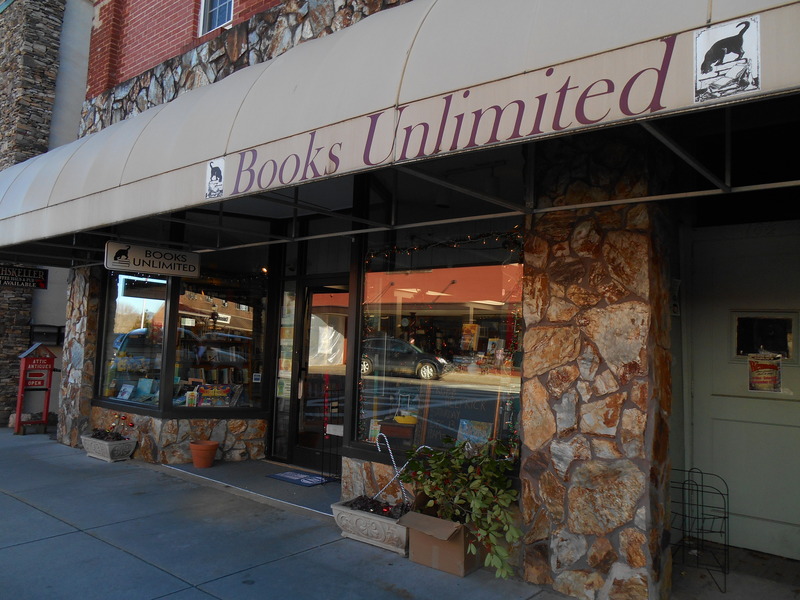 Books Unlimited is a wonderful independent bookstore in downtown Franklin. 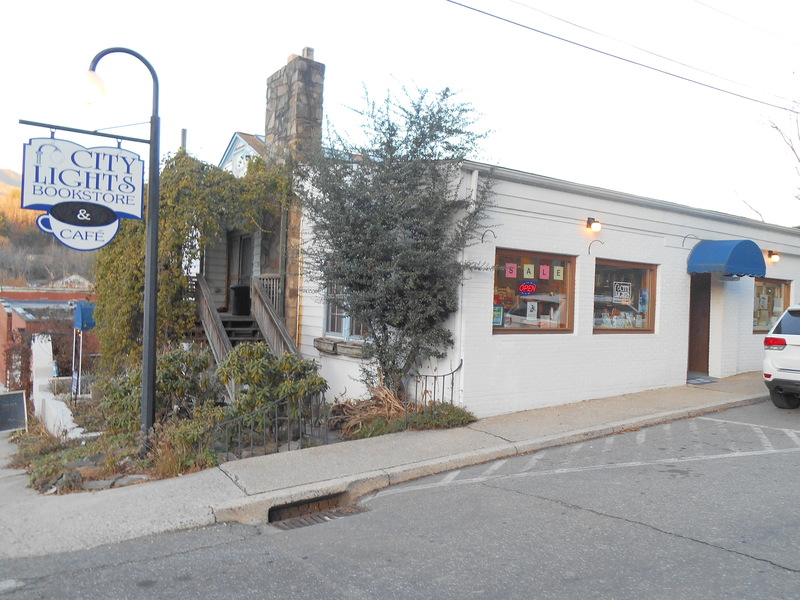 Books Unlimited, 50 E. Main Street, Franklin, NC. 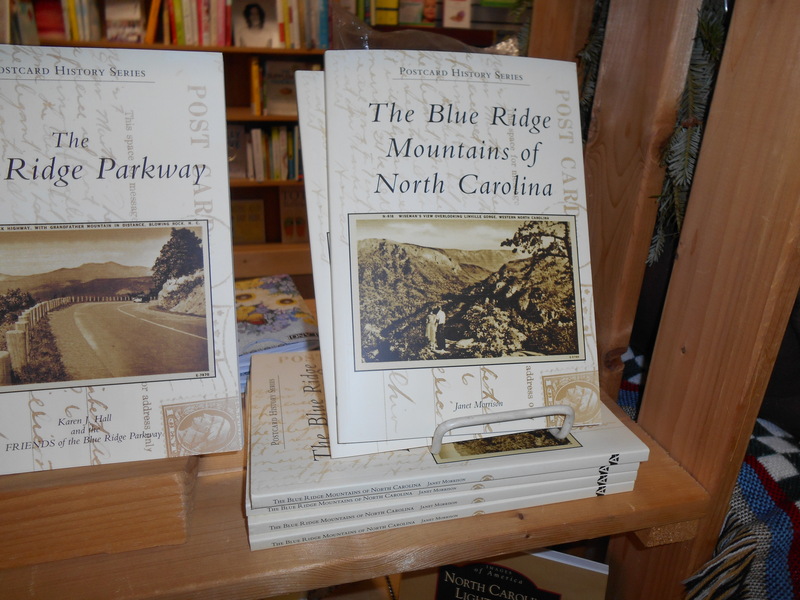 I was thrilled to find five or six copies of my vintage postcard book, The Blue Ridge Mountains of North Carolina, on the shelf! I was asked to autograph the copies. Nice folks! 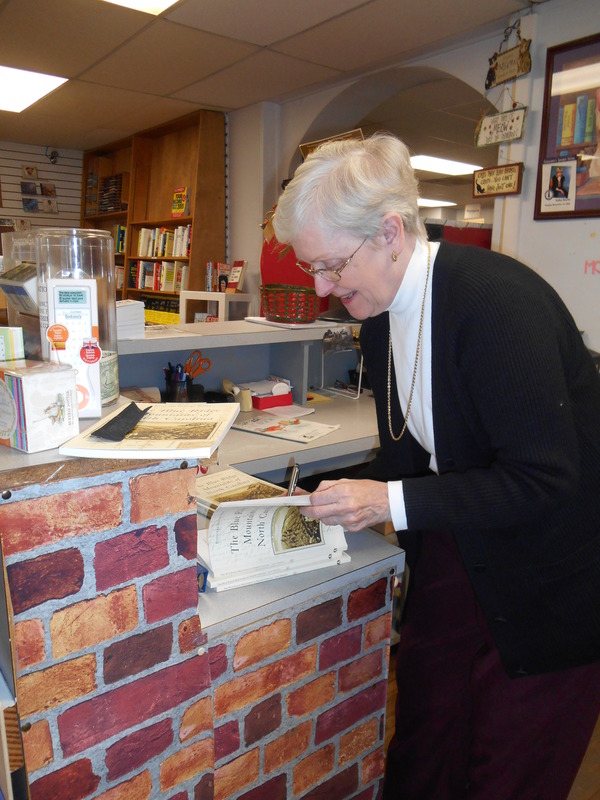 Janet, autographing her book at Books Unlimited in Franklin, NC. 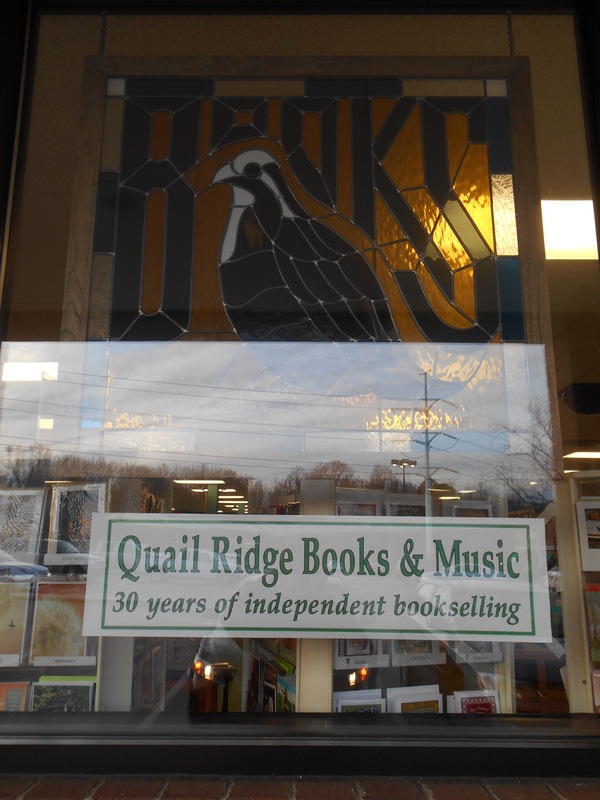 Support your local independent bookstore, if you are fortunate enough to have one. And when you’re traveling, seek them out and buy a book — either mine or one by another struggling writer! 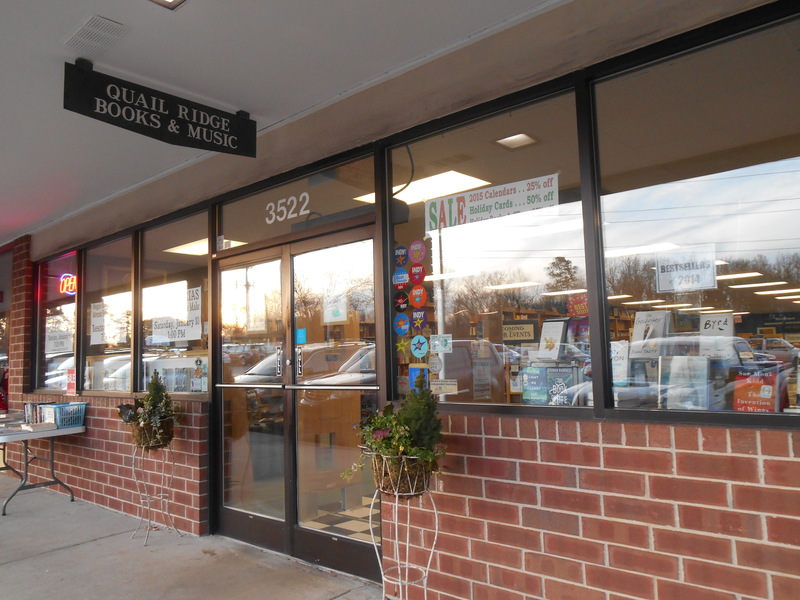 Janet’s book on display at Books Unlimited in Franklin, NC.